Skalar’s sophisticated SP2000 robotic platform offers dedicated and flexible automation solutions for routine analytical testing. Automation is available for a variety of applications including: BOD, COD, Test kit applications (ST-COD, TP, TN etc. ), pH, Conductivity (EC), Alkalinity, Carbonate/Bicarbonate, Turbidity, Color, Ion Selective Electrodes (ISE) applications and Particle size distribution analysis in soil, Automatic weighing and filtration of the sample, Automatic sample pipetting etc.. Combinations of analyses or custom-made applications are also possible. All applied methods are in compliance with international regulations ISO, EPA, Standard Methods, DIN etc. 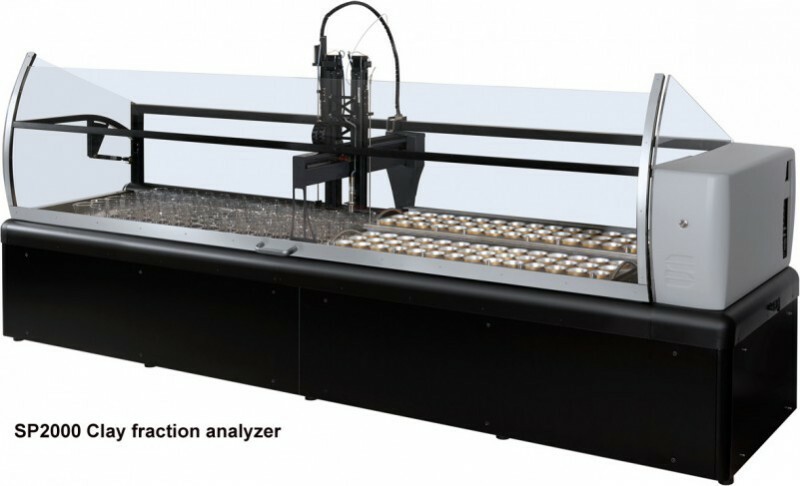 The smallest and most basic Skalar Robotic BOD analyzer consists of a XYZ sample handling platform, a bottle tray with 18 BOD bottle positions, an oxygen probe and meter (accommodates optical or membrane style electrodes,) a manipulator, a stirrer, rinsing station and protective front and side covers. The systems can be extended to hold up to a maximum of 11 BOD racks and the use of multiple oxygen probes allow a higher sample throughput. 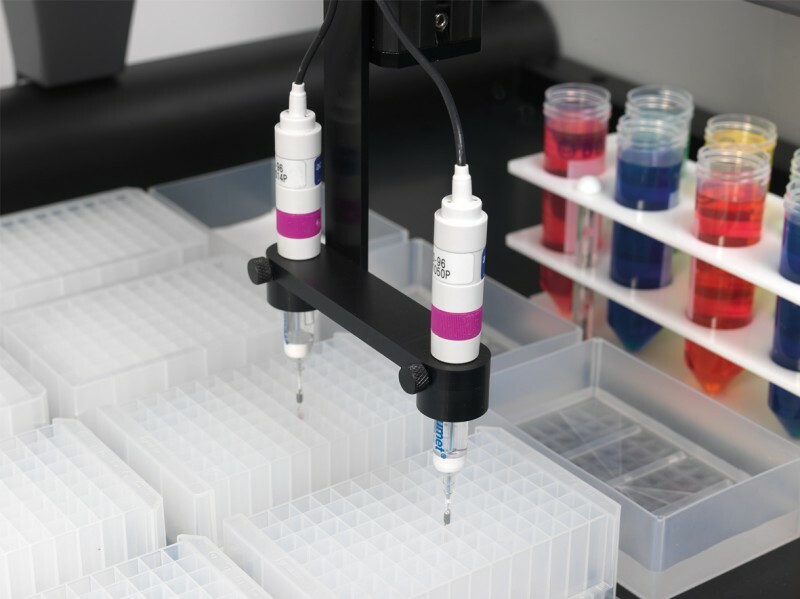 A second arm can also be implemented to increase sample throughput or to perform additional tasks such as automatic sample pipetting into the BOD bottles or pH setting of the sample. The analyzer can be used with all available standard BOD bottles, and a wide range of sample trays can be provided for various incubators. A completely closed cover is also possible for incubation purposes. 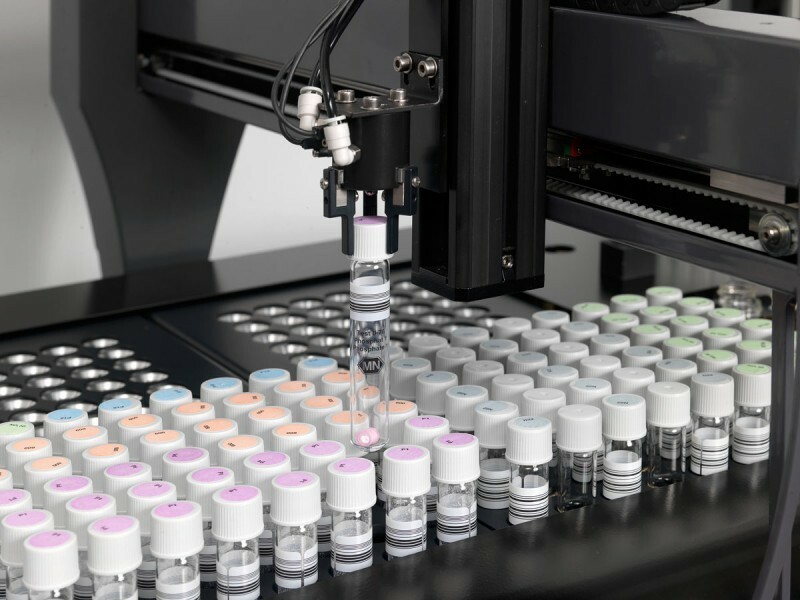 Samples are pipetted, either manual or automatically, into the BOD bottles and the identity and the dilutions are entered or downloaded from LIMS into the sample table. Bottles are placed in the racks and placed on the Robotic Analyzer. Analyzer is started by operator. The bottle is decapped and filled with Nitrification inhibitor (ATU) and/or seed and dilution water. Sample is then stirred and the initial Oxygen value is measured. The bottle is capped and the Oxygen probe and stirrer are rinsed before going to the next sample. The same procedure is followed until a value is recorded for all samples. The sample racks are placed in a 20°C incubator for 5 days. After incubation the racks are placed on the Robotic analyzer. The operator starts the analyzer again. The bottle is de-capped. The sample is stirred and the final Oxygen value is measured. The BOD value is calculated. The bottle is capped. This procedure is repeated until all samples are measured. The data can be presented on screen, printed or converted to a file compatible with other software and LIMS's. If there is a requirement for other analyses such as pH, Conductivity, Alkalinity and Turbidity then these methods can be combined with BOD on the same robot. The ST-COD method is based on exactly the same reaction as described in the classical method, but instead of titration, a photometric detection is used. An advantage of the ST-COD method is the use of pre-prepared tubes, which minimize handling of toxic and hazardous reagents. 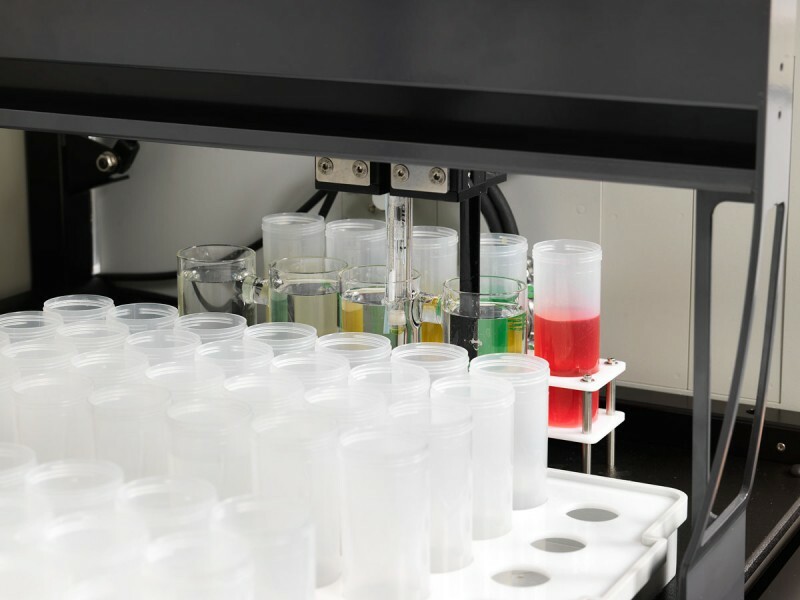 The analyzer consists of a XYZ sample handling system and is equipped with removable sample tube- and test tube racks, so additional sample loads can be easily prepared and inserted during the analysis run. 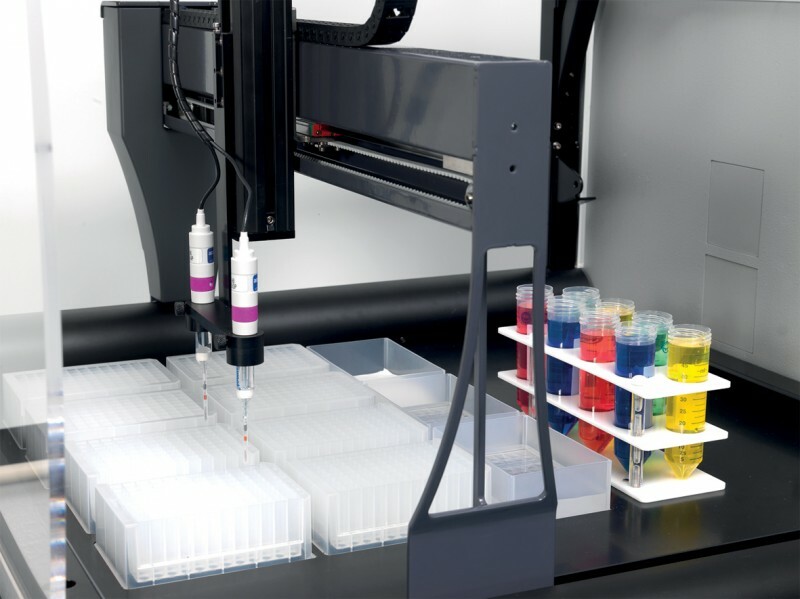 The analyzer can be built to accommodate 24 up to 336 tubes in one batch. The analyzer has a robotic arm with two manipulators, one with a gripper and the other with sample needle and stirrer. Furthermore the analyzer has a (de)-capping device, a vertical shaker for easily dissolving solid reagents of the test kit and mixing the sample, as well as a rotating shaker for mixing the tubes before measuring. The analyzer has a compartment for additional reagents and if digestion is required the analyzer with two temperature adjustable thermo reactors is available. A photometer takes care of the measurement and the results are sent to the RoboticAccess™ software for further data handling and control. The analyzers can be used with commercial available or self-made COD reaction tubes and is compatible with several photometers. Besides single test kit analysis such as described above the same platform can be used to combine COD analysis with other test kit applications such as Total Phosphate, Total Nitrogen etc. For example a combination of 48 COD, 24 Total Phosphate and 12 Total Nitrogen tubes in one batch. Tubes are placed in the sample racks and transferred to the analyzer. The analyzer picks-up the tubes and the tubes are decapped. The sample is automatically pipetted into the reaction tubes. The reaction tubes are capped and transported to the vertical shaker. The reaction tubes are mixed and transferred to the reactor, where they are heated for two hours at 150 °C. The analyzer keeps track of the reaction time. When the reaction is completed the analyzer places the tubes in a sample rack to cool down to 60 °C, after which they are mixed whilst still being warm. When the samples are cooled down to ambient temperature they will be measured with a photometric detector at the required wavelength. The concentration is shown in the result screen of the software and the data can be transported to the LIMS system. 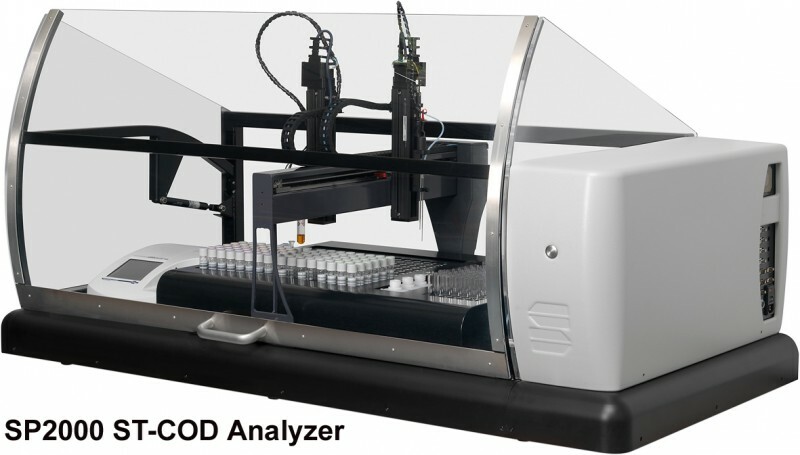 The SP2000 analyzer provides the automation of the classical COD method. After refluxing, the samples are cooled and are automatically titrated with iron-ammonium-sulfate to determine the excess of oxidizing agent. 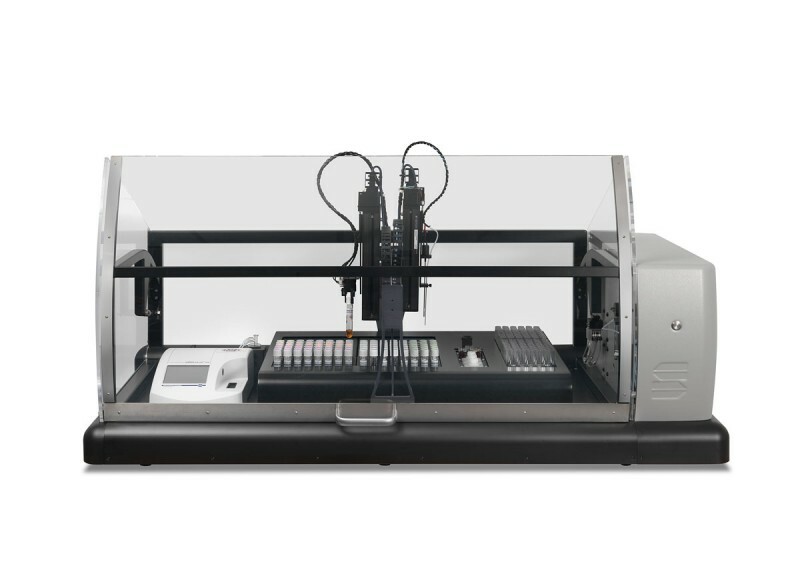 The analyzer has got a XYZ sample handling system and can be built with 4 up to 6 interchangeable sample racks with 20 positions each. The samples can remain in the same vials from digestion to titration. Furthermore the analyzer is equipped with a titrator, burette tip, probe and stirrer. The analyzer can be equipped with two titrators for range expansion, without changing the burette. 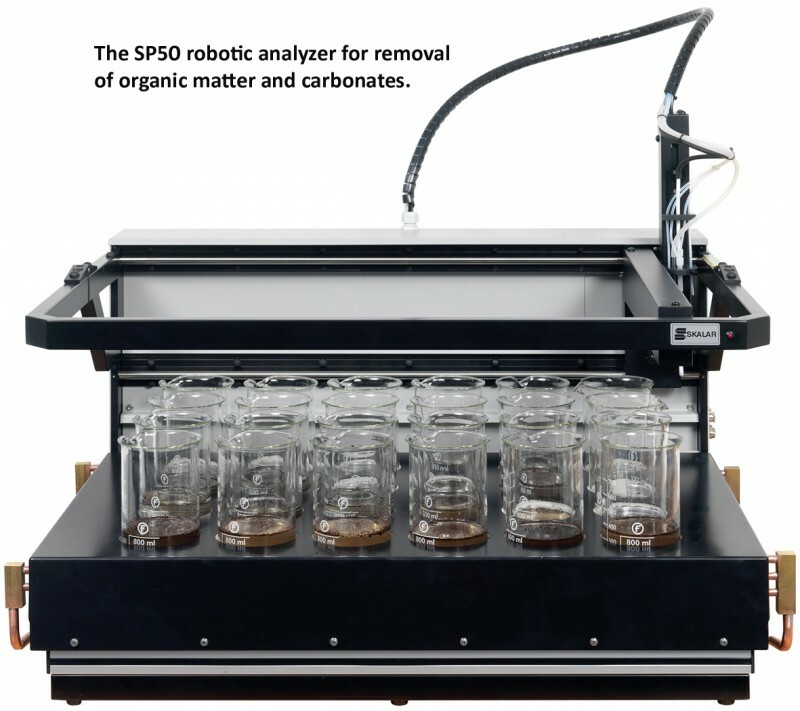 After digestion, the operator can place the interchangeable racks with the digested samples directly onto the SP2000 Robotic analyzer. This saves the operator time and avoids sample handling with dangerous reagents. The identities and the dilutions are entered into the sample table. The analyzer is started by operator. The sample is stirred and automatically titrated against ferrous ammonium sulphate until the equivalence point is reached. The burette tip, probe and stirrer are rinsed and go to the next sample and the same procedure is followed until a value is recorded for all samples. The COD value for each sample is calculated. The data can be presented on screen, printed or converted to a file compatible with other software and LIMS. Ready-to-use photometric tests are being used by many water laboratories around the world. A lot of suppliers offer these kits for many important parameters in water and wastewater analysis such as COD, Total Phosphate, Total Nitrogen, Ammonium, Nitrite etc. 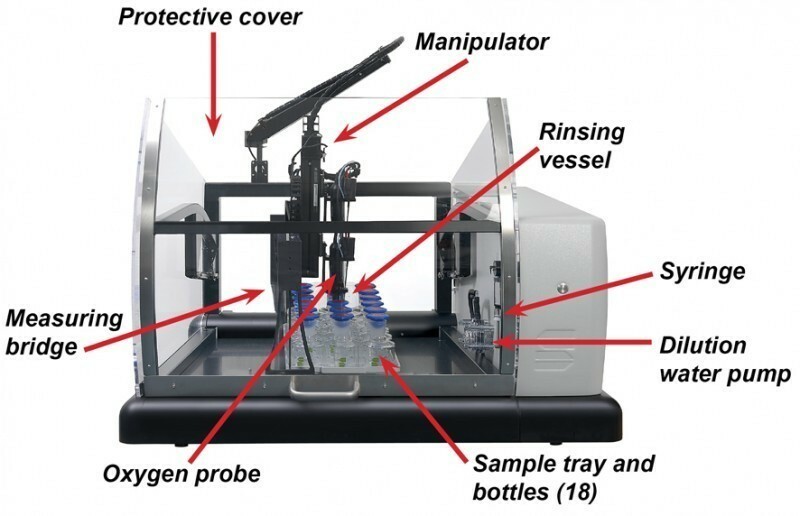 The usage of these kits is simple and safe, but still requires many different manual handling steps in the analysis procedure such as sample pipetting, (un)screwing of the tube caps and tube transfer. Especially when the sample amount increases or different parameters have to be analyzed; this process can be very tedious and time consuming. In response to this, Skalar has developed the new SP2000 robotic analyzer series for the complete automation of ready-to-use test kits. The analyzer is a fully automated solution for handling the sample pipetting, mixing, heating, cooling and measurement of any water or wastewater sample using photometric test kits. 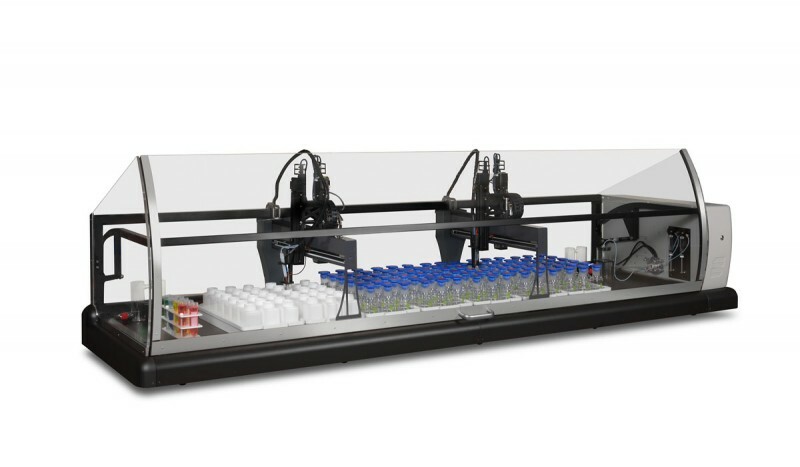 The SP2000 robot can be built to accommodate 24 up to 336 tubes in one batch. The analyzer can process multiple applications in parallel or sequentially at an individual sample level. 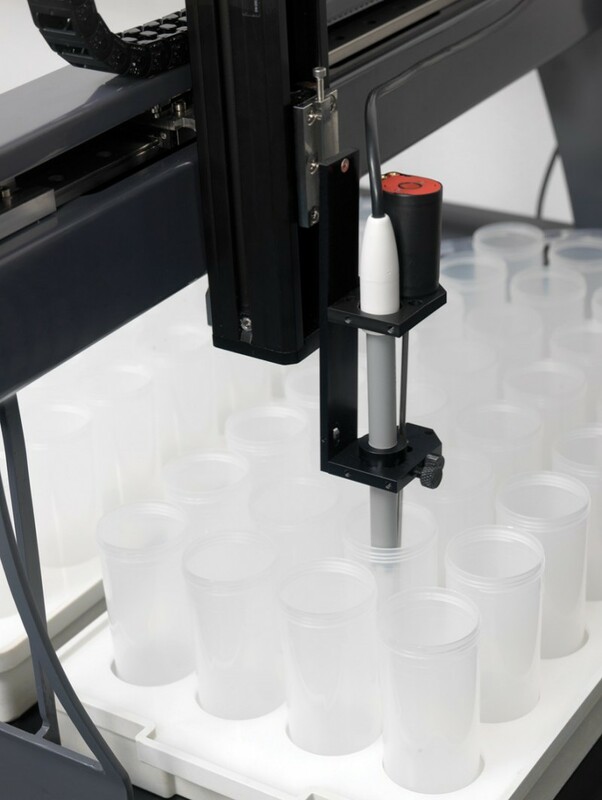 The analyzer can be configured with a second robotic arm to increase sample throughput by using a second gripper and sample needle and stirrer or to perform additional tasks such as test kit analysis combined with another application such as BOD. The platform has protective front and side covers to comply with applicable CE regulations and is powered by the very practical and flexible RoboticAccess™ software package, which includes pre-installed application files containing the analysis sequence, user definable sample table set up and extensive QC features. The analyzer can handle test kits and photometers from different suppliers. 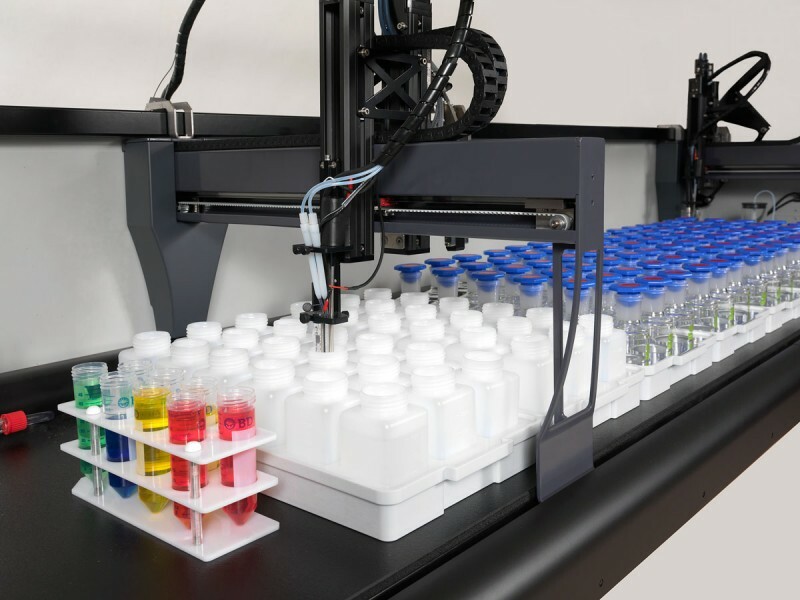 The Skalar Robotic Analyzers can handle the automation of pH, conductivity, titrations, turbidity and color combined into one system for sequential or simultaneous analysis. Custom-made configurations are available to meet the requirements of any laboratory. These include the choice of various applications, the running sequence and the integration of a variety of sample racks and sample beakers. When the system is configured for the analysis of drinking water, pH, EC, Alkalinity and Turbidity, it can be user-defined whether the applications are required to run simultaneously or sequentially. The system also allows the selection of the analysis performed on each individual sample. There is a special configuration of the SP2000 platform for pH measurement in well plates. The manipulator carries two separate special pH electrodes for simultaneous pH measurement of two different samples. 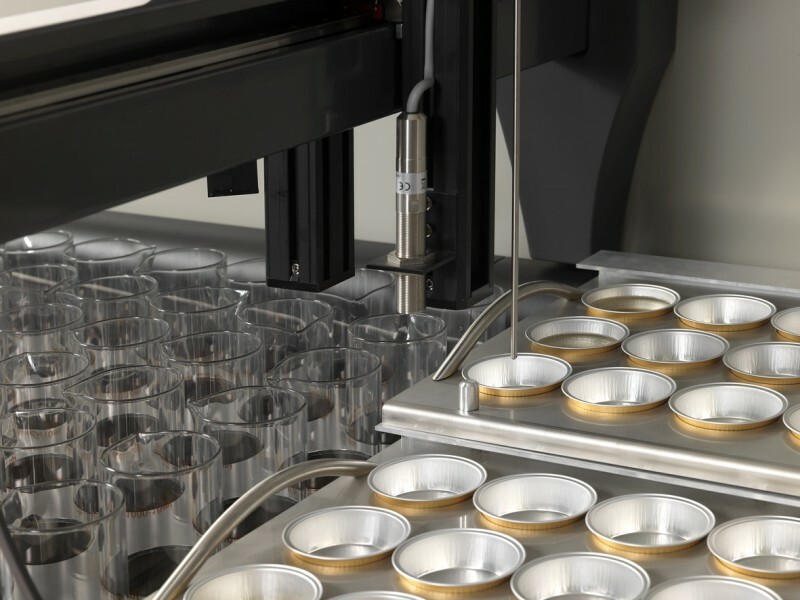 The analyzer has a sample capacity of up to 768 samples per batch, distributed over eight 96-well-plates. Depending on the application, calibration of the instrumentation can be performed automatically to ensure an accurate performance. Quality control checks and standards can be placed in between samples and probes can be re-calibrated automatically. The pH of soil influences the availability of minerals for the plants. Each plant has a certain pH at which it is optimally grown and produced. 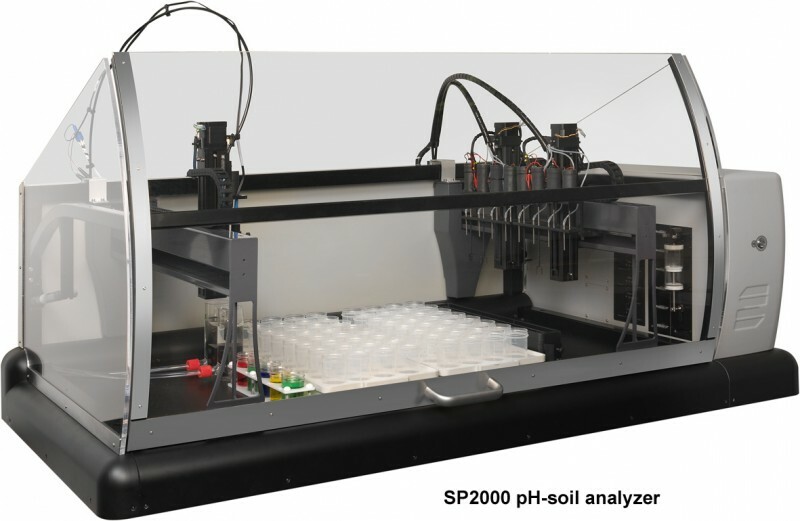 The pH analysis is the most common parameter carried out on soil samples. Specialized laboratories analyze the soil and provide farmers with the required information. Based on the analysis results, the best method can be selected to improve the soil quality resulting in increased crop quantities and cost reduction. The Robotic Analyzer can be configured for measurement of soil-pH in water extracts as well as in KCl, CaCl2 or other extracts. The procedure includes the automatic calibration of the probe and addition of extraction solutions, automatic stirring, pre-defined sample settling times and measurement. 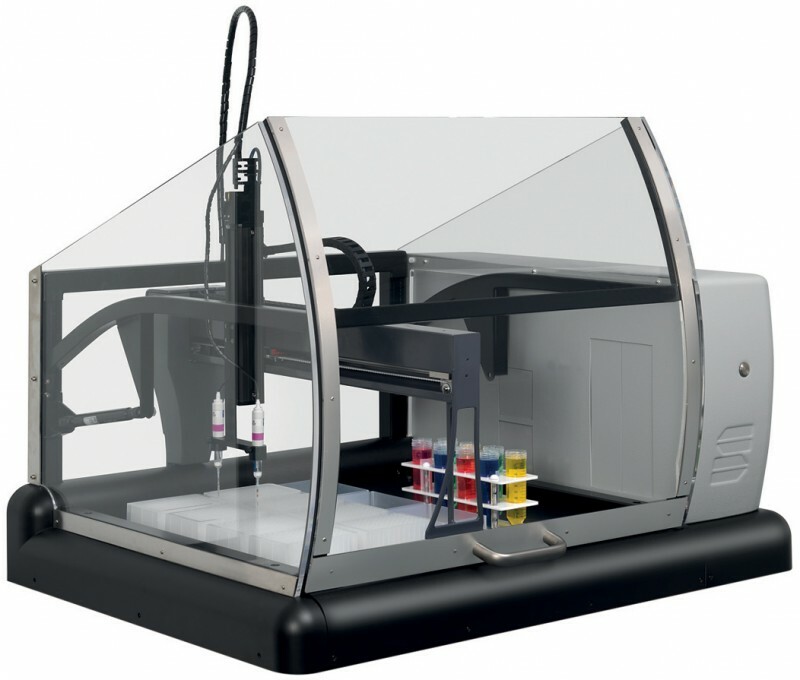 The analyzer can have a capacity of up to 792 containers (50 ml). 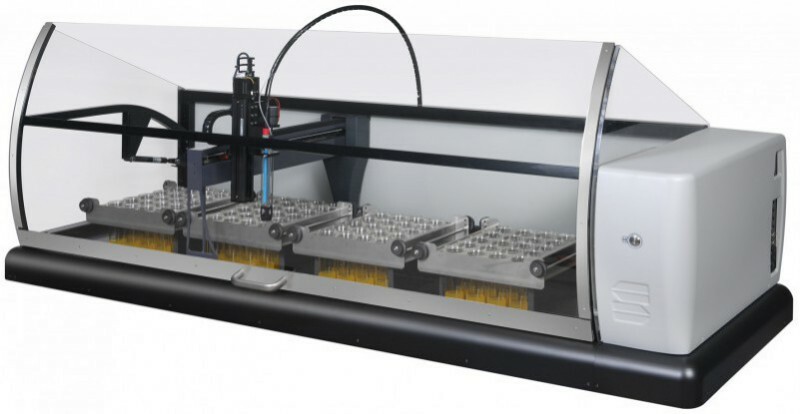 For extremely large batches the analyzer can be configured with two robotic arms each with multiple pH electrode configurations, up to a total of 8 electrodes. After weighing, the samples are placed in a rack. The racks are transferred to the analyzer. The analyzer adds extraction solution and stirs all the samples. Between each operation the analyzer rinses the probe. After a pre-defined settling period the samples are again stirred. The pH value of each sample is measured. The measured values of each sample is calculated and stored. In addition to pH analysis, also parameters such as conductivity (EC), can be added to the soil-pH configuration. Classification of soil is important for environmental control and construction purposes. Soil classification is based on several factors such as absorption, the ability to shrink or swell, water retention and permeability. Most of these factors independently correlate with the particle size of the soil. The clay fraction, the smallest fraction (0-2 micron), is indispensable in assessing soil quality. The clay fraction is measured according to for instance ISO 11277 and allows the soil to be categorized within stated classes. Skalar has developed a concept to automate the second and third step in this process using a Skalar Robotic analyzer. Automation of these steps is of particular interest because they can now be carried out fully automatic and with precise timing and pick up heights. After weighing, the samples are placed in a bottle. 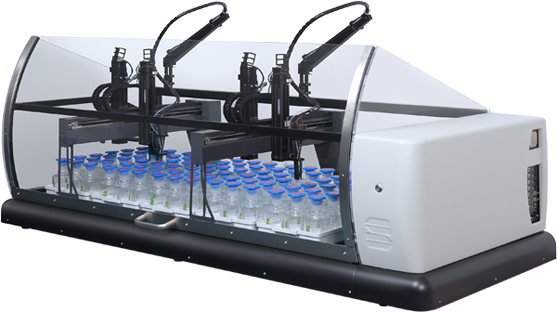 The bottles are placed in the Skalar SP50 Robotic analyzer and an amount of water is added. The bottles with sample are heated until the boiling point has been reached. A sample is boiled for 30 min. During heating and boiling every 30 min, 5 ml of hydrogen peroxide is added to remove the organic matter. Afterwards the sample is cooled down and the same process is started but now with the addition of hydro chloric acid to remove the carbonates. During the complete process water is added in intervals to avoid excessive boiling of the sample. The sample is transferred into a volumetric cylinder of 500/1000 ml. 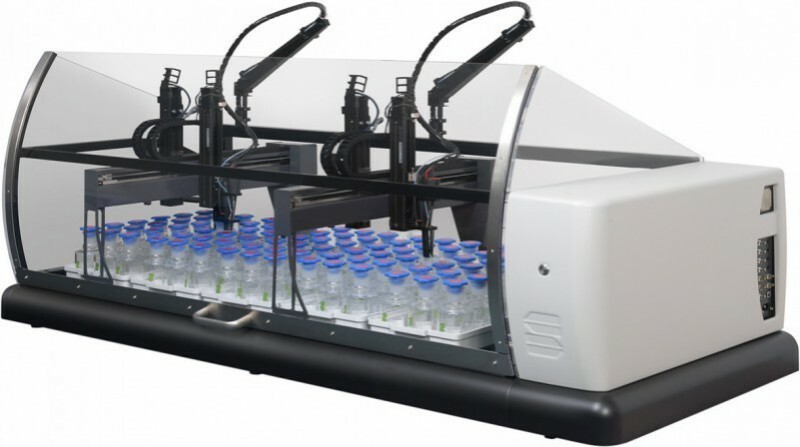 The system, a Skalar SP2000 robotic analyzer automatically adds Sodium pyrophosphate solution and brings the suspension to volume by adding distilled water. During a user-definable time, the sample is homogenized. After a settling period of several hours a fraction of the suspension is taken at a predefined depth from the cylinder and this fraction is transferred to an evaporation dish by the system. After drying the remainder of the sample is weighed and the Clay fraction is calculated via the software. This procedure can also be performed unattended allowing for overnight operation. In addition, it is also possible to determine other fractions. RoboticAccess™ is designed as a flexible and multitasking program for controlling the Skalar robotic analyzers. While analyzing the samples, already obtained results are processed and new analyses can be prepared and scheduled. An access code and password are required before operation to prevent unauthorized operation and data modification. The application files, which contain the instructions for the analyzers to perform the specifications, are pre-set in the software by Skalar, according to (inter) national regulations or can be in accordance with user defined requirements. 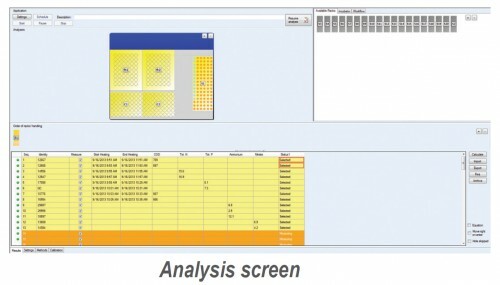 Runs can be easily started by selecting the required application and simply creating a user defined sample table by dragging the racks to the analyzer. When the sample table is completed and the analysis sequence is defined, the run can be started or scheduled for another start time. All applications can be programmed to be analyzed. The status of the running analysis can be followed on the screen and the results are displayed in real-time. During the run it is possible to add priority samples or exclude samples from measurement. Results can be printed in user defined print reports and exported to a txt, excel or LIMS. Finished runs can be archived as well as backed up and restored later. Integrated Quality Control features assure accurate results and full compliance with required regulations. 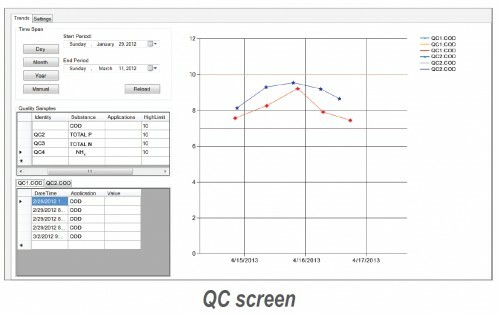 QC samples can be analyzed and Quality Control charts together with other valuable statistical information can be created. Also CLP protocols can be included, which allow automatic actions of the Robot analyzer itself if QC and CLP limits are exceeded. This guarantees the production of highly accurate results and automatic quality control on the Robotic analyzer’s performance.